What will you be known for when you’re 65? I tend towards being ambitious and wanting to achieve great things, but after I preach a sermon, counsel someone, or discuss missional communities with another pastor I do some self-analysis about my end goals. My ambition leads me to want to be a great pastor, even the best pastor for my church. It leads me to want to be a respected voice in the missional community conversation about leading a church towards being a gospel-centered community on mission. I want to impact my neighborhood, make a dent in the cycle of poverty around where we live, and see those I love believe that Jesus Christ really did die for them and resurrected to give them a joyful life despite current circumstances. 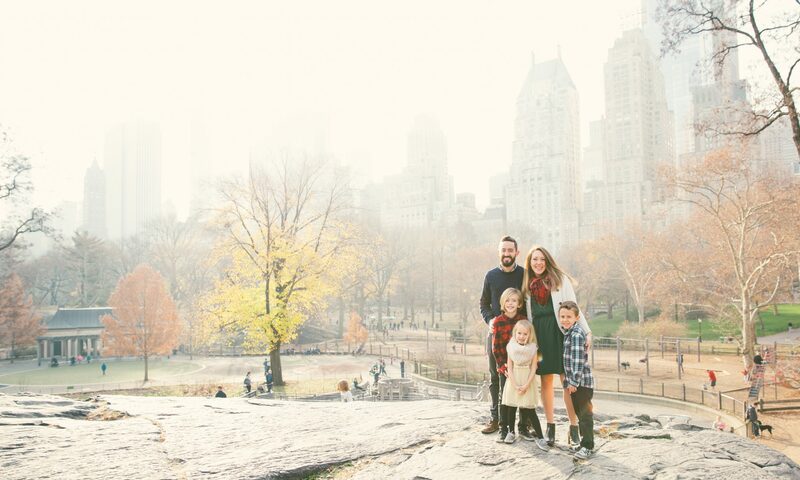 I moved my family to New York to be a part of a church-planting church and I wanted to be a part of planting and starting new churches that connect people to God and one another. When I was an engineer, I wanted to be the best urban planner and be a great manager at my company, leading our company toward designing great cities that benefitted the community. None of these are bad ambitions. In fact, I think they are great ambitions. While none of the ambitions I have had for pursuing ministry have died, I have asked myself if these things are ultimate for my life, specifically in regards to my family. As I think about what I’m giving my time and thoughts to on a regular basis, I’m looking ahead multiple decades to evaluate how my time now will yield results later. I am blessed, by God, with an amazing wife and 3 truly remarkable children that blow me away constantly. As my Eli finishes his first year in kindergarten, my Calvin starts pre-kindergarten and my little lady, Mya, starts talking and acting like a big girl, it feels like I’m going to wake up tomorrow and they will be grown. I do not believe that they are mutually exclusive. I don’t believe that I have to fully sacrifice my family to be great at my calling as a pastor. I’m currently pursuing both and currently (check back later) feel as though our family has a healthy rhythm of life. I also don’t believe that I have to sacrifice all of ministry to be a great husband and father. But if they were mutually exclusive, where would I lean? If I could only be known for one thing when I’m 65, what do I want to be known for? I continue to be more resolved and hopeful that my kids will want to bring their grandkids around me because I was a great father to them. More resolved that my wife would consider me a great friend and lover. My hope is that I’m known by my kids as a great father, pastor to our home, friend, teacher, and someone who was concerned with what they were concerned with and interested in their ideas and interests. And yes, I want my kids to know that I love Christ and His mission more than I care about their approval or them getting everything they want in life. I don’t intend to stop seeking to be an excellent pastor, an excellent missionary or to stop pursuing the mission of God, as this would be swinging the pendulum to family idolatry, but I do intend be most proactive in cultivating my relationships at home. If this means putting a glass ceiling on my “career” (which is what I would call engineering, so why not call it that as a pastor?) in certain ways and areas because it allows me the mental capacity, energy, and time to invest in my wife and children, then I am completely ok with that. I really believe that this will demonstrate the gospel of Jesus Christ to them, to demonstrate a sacrificial love for those God has called me to care about the most. This question has been rolling around in my head for the last month and it’s changed my approach to life at home with my wife and children. I find myself seeking to identify ways to hear how they are viewing life, what they are processing, and what motivates, excites, or hurts them. When my Calvin asks me to do the 15th puzzle of the day, I find myself more prone to get off the couch to join his fun than to try and get him to join or stop interrupting my activity. When Eli tells me about potential kindergarten girlfriends, I typically want to immediately jump to teaching him about girls, the purpose of dating, and physical affection. Lately, I’ve started by asking him questions about his perspective, what he likes about the girls in his class, and how they make him feel. The desire and time to teach are still there, but now I know his thoughts, feelings, and the kind of teaching he might need, plus it couldn’t be any cuter than a 5-year old telling me his feelings. We talk a lot about industry renewal at our church, seeking to let our faith influence our work, creating good culture for the benefit of others. It’s the way we should pursue work, but I wonder how much I’m subtly pushing the idolatry of work as the end result. Am I encouraging them (and myself) to be known as the Steve Jobs of their industry? Innovative, forward thinking, a revolutionary at work, knowing that this will cost them dearly at home. Or am I encouraging them to do excellent work, but ultimately to seek industry renewal at home, to be Steve Jobs-esque in the way they approach their family? What will you be known for when you’re 65? As I consider this, I’m thankful for my parents. They blessed me, their co-workers, and many others through their work over the years, but I’m thankful that I know them best as the most consistent presence of love and interest in my life. I hope to be an amazing pastor, missionary, and a contributor to the missional community conversation, but I am convinced that this starts at home by being a great pastor to my family, demonstrating Christ’s love for them, and spending my time, thoughts, and energy on them primarily.